Referee bias is the rare subject on which painted-up fans and bespectacled statisticians seem to agree. In study after study, in sport after sport, referees are shown to exhibit favoritism toward the home team. But can refs outgrow home bias? A 2012 study found that more experienced referees in European Cup competitions favor the home team slightly less than their greener peers. In 2007, researchers came to a similar conclusion when looking at the English Premier League. To see whether the link between experience and home bias holds for NBA referees, I´ve pulled data from Basketball-Reference, which has officiating data going back to the 1988-1989 season. For each referee in the database, I’ll look at the relationship between career games officiated and homecourt bias. For the purposes of this post, let’s define homecourt bias as fouls called on the away team minus fouls called on the home team. The higher this number is, then, the more bias is shown. Before getting to the findings, I want to point out some methodological hiccups. 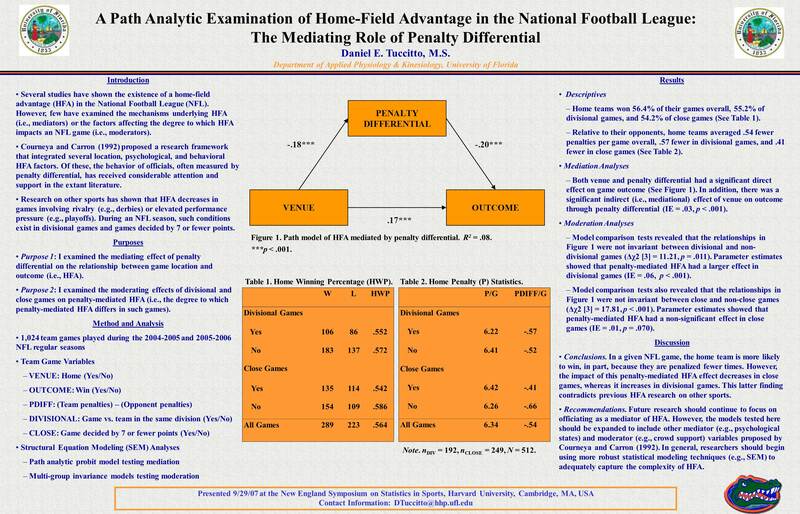 The first is that this analysis looks at ref-season level data. If a referee has officiated 50 games in her first season, my method will say she has 0 games of experience for the entire season. In reality, however, she would have 49 games’ worth of service by the time she referees the 50th. The other major problem is that I’m measuring experience by summing a given referee’s total games in the database. Because there aren’t data for pre-1988 seasons, every ref in the dataset is said to have 0 career games officiated up to the 1988-1989 season. For this reason, I’ll only look from 2000 onward, though this will still underestimate experience for refs who worked prior to 1989. One last point to consider is that bias does not necessarily mean favoritism. It could simply be that away teams commit more fouls, and referees are calling games fairly. With these caveats in mind, we can use regression to see whether there’s a linear link between referee experience and home bias. Let’s run a regression that predicts a ref‘s home bias for a given season based on career games he officiated up until that season. Since not all ref-seasons are of the same size (some refs officiate more games in a season than others), we can weight the regression based on games included in each row of data. The model suggests that older referees actually exhibit more home bias, and that this relationship is nearly significant at the 0.05 level. But there could be a confound at work: seasonal effects. When we plot average career games officiated vs. season (above), we see that the average ref in 2017 is more experienced than the average ref in 2000. And when we plot home bias by season (above), we see that home bias has generally increased between 2000 and 2017. To control for this phenomenon—that refs have gotten more experienced while home bias has simultaneously gotten more severe—we can look at officials’ home bias relative to seasonal averages. Thankfully, Basketball-Reference has done the work of tabulating this statistic for us. This new method leads us to the same conclusion. We should be cautious about gleaning too much from this dataset—and these p-values leave plenty to be desired—but there appears to be some evidence that more experienced NBA referees are more prone to home bias. Editors Note: If you have any questions or comments for Henry, please feel free to reach out to him at henryjohnson@college.harvard.edu.